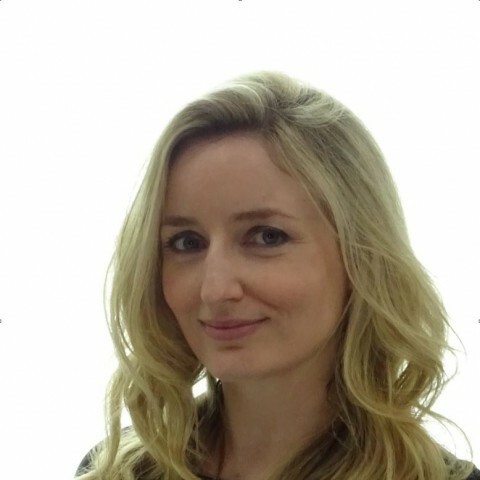 Sarah joined Clerksroom in September 2014 after successfully completing her pupillage in the Temple, London. Since qualifying, Sarah has built up a great deal of advocacy experience in the county courts and the High Court which has enabled her to become a confident and passionate advocate. Sarah has experience in both traditional and commercial chancery law matters, including probate, cohabitation, real property, landlord and tenant and intellectual property. Sarah has represented clients in the High Court in both the Chancery Division and the Companies Court in relation to TOLATA, trade mark infringement, orders for sale and the registration of legal charges. Sarah has also successfully defended orders for sale in the county court. Sarah has developed a strong practice in the areas of contentious and non-contentious probate and welcomes any enquiry appropriate to her level of experience. Since qualifying, Sarah has successfully appeared in the county court in a number of commercial debt claims particularly in the field of telecommunications and consumer disputes. Sarah’s experience has given her an understanding of wider commercial concerns and she has a familiarity with different types of commercial contracts. Sarah has a thriving personal injury practice with extensive experience in relation to occupiers’ liability, road traffic accidents, highway claims, tripping/slipping and employers’ liability. Sarah has been involved in a number of cases relating to the common law duties of tree owners. Sarah is happy to be instructed in small claims, fast track or multi track matters as well as attending infant approval or Stage 3 oral hearings. Sarah has developed considerable experience in EU 261/2004 compensation claims involving major international airlines. Sarah is happy to accept instructions on behalf of both passengers and airlines. Sarah spent a number of years living in South East Asia where she taught English, before returning to England to study law at university. Prior to qualifying as a barrister, Sarah worked as a corporate paralegal at Magic Circle firm Linklaters, where she assisted with high-profile mergers and acquisitions, competition matters and commercial litigation. Sarah is based in Hertfordshire and she is happy to travel. Sarah has an interest in all things to do with aviation and would love to take flying lessons. Sarah has travelled extensively throughout Asia and has a passion for exploring new countries. Sarah acts as a mentor for undergraduate law students who aspire to become barristers. In her spare time, Sarah enjoys running and swimming. It is very much appreciated the speed at which Clerksroom and Ms Sarah Clarke provided representation for the hearing the next day. The application was not a straightforward application and although Ms Clarke received the papers mid-morning for the afternoon hearing the result was the desired outcome. Cannot thank Ms Clarke and Clerksroom enough for the service and representation provide for this hearing. Many thanks (Sarah Clarke) from the Access to Justice Foundation for your pro bono efforts: the funds we receive from pro bono costs will be used to help other vulnerable people to access justice. Outside of these key areas of law, Sarah Clarke (2011) is always willing to consider any enquiry requiring the experience or knowledge needed to help you or your client. Please call Sarah direct or the support team on 01823 247 247 if you would like to discuss any aspect of this profile. 3. I, Sarah Clarke, have been instructed by you or your litigation friend (usually a parent), through your solicitor or agent, or via the Bar Pro Bono Unit. 27. If you have any questions regarding this privacy notice, or how I use your personal data please email me: clarke@clerksroom.com, or my clerks: mail@clerksroom telephone 01823 247 247.